What happens once we are gone. Who remembers our stories? Who will discover the parts of our lives we never shared? Once we are gone does it even matter? Or is that when it matters most? I have to say that now that I’ve finished it, I was exactly right. And that is why I loved this book so much. No it’s not really a mystery…I figured out pretty quickly what was going on. But I’m not sure that mattered at all. It certainly didn’t take away from my enjoyment of the book. After reading this novel I still am having conversations with myself. I wonder if how well we know those prominent in our life shape most of who we are. If we find out that we actually don’t know them as well as we first believed does that change who we are? I am also left wondering who suffers the most when we keep part of our lives in the dark. When we, for whatever reasons, can’t be who we are completely in the light of day…well who suffers the most? The person that is hiding part of themselves, the loved ones that really have no clue who their loved ones are? Or is it, perhaps, the people in the shadows that are forced to live there to be with the ones they love? My mother taught me to read. Not the mechanics of reading – no memorising of tricky words or how to sound out letters – she left all that to my teachers. The lesson she taught mew as a more enduring one. She showed me that it was possible to withdraw into literature: to find your place in a dream-rapt landscape. Her shelves at home were heavy with Victorian and twentieth-century novels, and Hardy was the weightiest of all; Tess of the d’Urbervilles was almost always splayed open by her bedside, where she nightly dipped in and out of Tess’s story. The tragedy of a young girl wronged by parent and man became a sort of talisman for her own life. I hate it when I get a book and then forget about it. I mean, something drew me to that story. But then, something drew me to another story. And then another. And before I knew it, original story was somewhat forgotten. Admit it, you’ve done the same thing. Luckily, though, this one made its way back onto my radar. Because it would have been a shame to miss it. Emma/Susan has done her time. No matter that she can’t really remember what she did. She was tried and convicted of the most horrific crime imaginable – killing her baby. But now she’s out and trying to build some semblance of a new life. Then the pictures start coming. Somebody is determined to dredge up a past she’d rather not think about. Soon, though, she begins to have doubts. Is her inability to remember that terrible night actually her mind trying to tell her she didn’t do it? As she begins to dig deeper, someone seems determined to stop her. Too many secrets, too many unanswered questions to just let it go. I’ve read R.J.Prescott’s Hurricane series so I figured I’d read this one as well. Even though I have a hard time reading suspense books, I knew it was going to be good, so I would just have to hold on. And I was right. 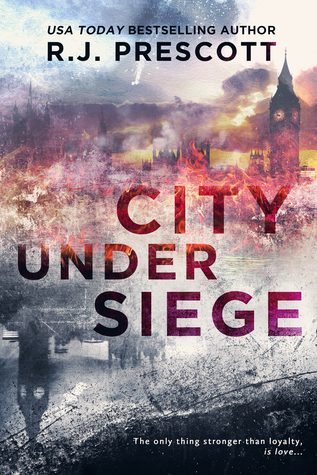 City under Siege had my heart racing and swooning. Perfect balance of suspense and romance. Sarah has been put in charge of her family’s company, due to the unexpected loss of her father and brother. But as she’s learning the ropes, some secrets come forward that put her in a very dangerous position. She seeks the help of the SAS to get them straightened out and discovers that help comes in the form of a super hot Tom Harper. And as he’s helping protect her, they both realize that love can creep up in the most unexpected moments. I think the reason I enjoyed this book so much was the romance aspect. Even in the midst of a very dangerous situation, and all the military actions, a slow burn relationship happens. Those are so fun to read honestly. It’s the last thing that Sarah and Tom want or need, but sometimes you can’t help who you fall for. I’ll admit I got tripped up a bit with all the military lingo, but I learned quickly and was able to move on and enjoy this book. With all those hot military guys running around, how could I not? I’m holding out hope that they get a story also. The whole dynamic was fun to read. Oh Esther and Will… hard workers, loyal to a fault, family-oriented… and then one trauma busts it all up and unearths some unexpressed feelings. Thankfully, their little town — including Esther’s family — provides the guardrails to help Esther and Will find their way. Their struggle was real. I’ve felt it and I’m sure all married couples have felt it at some time in their marriage. Things are going fine until they aren’t. And sometimes the solution isn’t exactly staring anyone in the face. That’s why I am grateful for all the family and friends who witness wedding ceremonies – they’re there to help support the marriage when it’s foundering. Kate Hewitt wrote more than just Esther and Will’s relationship though. There were family dinners, lonesome walks, friends meeting at the pub, sibling love, the wisdom of a mother, the comfort of a father, and so much forgiveness … all in a little village around an old vicarage in a wonderful, delightful series. They were shadow and light. Death in two forms. Together, they killed ten, twenty, forty men before the sun rose. This is a debut novel?! No freaking way. That blows my mind. For those who like the kick a$$ heroines, this is a book for you. The epicness of Rome and all it’s death and beauty will keep you turning those pages. I couldn’t put it down. Attia’s entire world was detroyed and was taken into slavery and given to the Champion of Rome, a gladiator named Xanthus. Now that sounds brutal, and it is, but there is way more to their stories, that you’ll have to read yourself. These two slaves want more than the life they have now, but they need to be patient and find the right moment to take control of their destinies. Of course, in the midst of battles that surround them, they realize that they can be of use to each other. 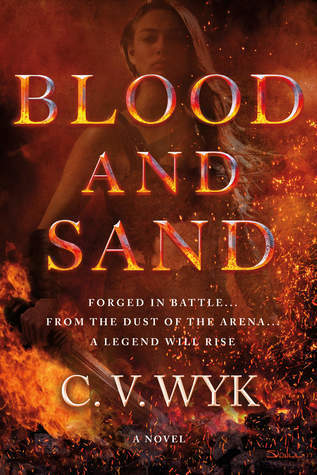 They learn each other’s secrets, which then makes them form a bond that will help forge a rebellion right under the Roman’s noses, all the while bringing the legend of Spartacus to life. I was cheering in my seat, when that was brought to light. Xanthus was the kind of man who asked rather than took, who begged the gods to forgive his sins with whispered breath. He was the man who’d fallen to his knees before her, who had help her close until the night was over, who would give anything to keep her whole. Of course there’s romance, but that is so secondary. It fits the story perfectly without being forced. Slow burn, in fact. I wasn’t expecting it, if I’m being honest, so it was a pleasant surprise. These two just want to get by to they get their revenge on those who’ve taken their world away. But they realize they’re better together and start to plan. But then the world turns upside down. And I’m not even exaggerating. Hence the reason I need book two immediately. But I gotta wait til next year!! AHH!!! Most kids want to grow up to be just like their parents. From a very young age, they emulate everything their parents do. Imagine, though, a childhood so sad and traumatic that it leaves you reaching for the exact opposite goal. Talon has had a rough childhood, to put it mildly. A revolving door of men in her mother’s life has left her scarred in more ways than one. More often than not, Talon has found herself in the role of the parent as drugs and alcohol ruled every aspect of her mother’s life. Now she has a chance to make something of her life. 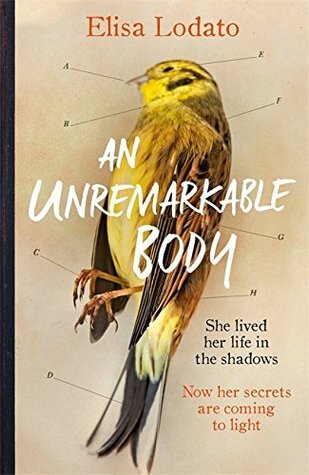 Her love of writing has given her the opportunity to leave her horrid life behind and to actually become something. But Talon, desperate for approval and love and acceptance and all those other things, finds herself making the same mistakes as her mother. Will she see the error of her ways before it’s too late? And is there any way she and her mom can find their way back to each other?